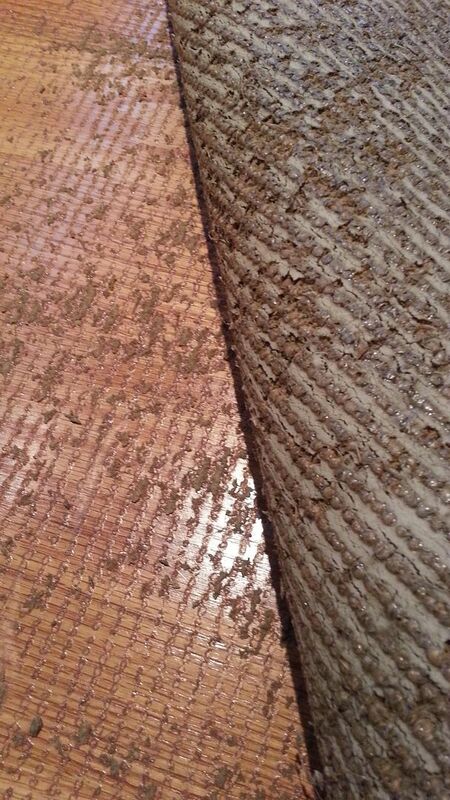 Another warning about non slip rug backings – The Connoisseur Carpet Cleaning blog. 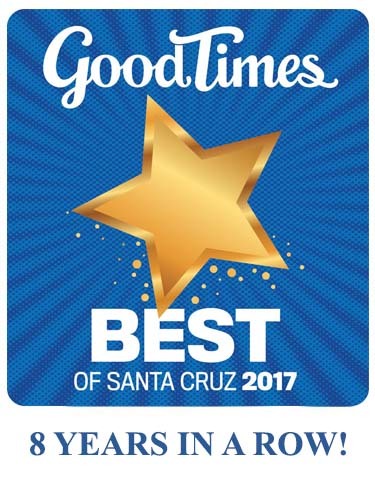 We were recently called out to inspect a new wood floor in a really nice seaside home in Santa Cruz Ca. 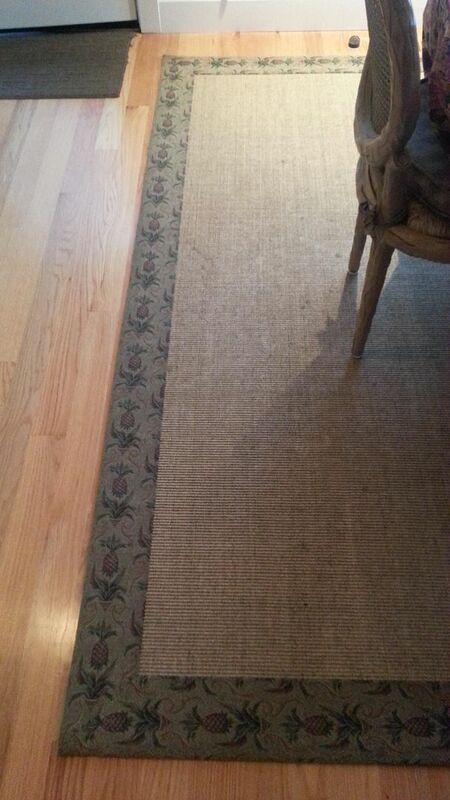 The situation had the home owner laying a new Sisal Fiber rug over a freshly installed wood floor. The off gassing from the new floor finish reacted with the built in rubber, non skid backing on the rug causing this horrible mess. While we are able to remove the sticky rubber residue off the floor it will remain discolored in the pattern of the “weave” until l the time comes that the home owners fell the rest of the floor could benefit a sanding and refinishing. 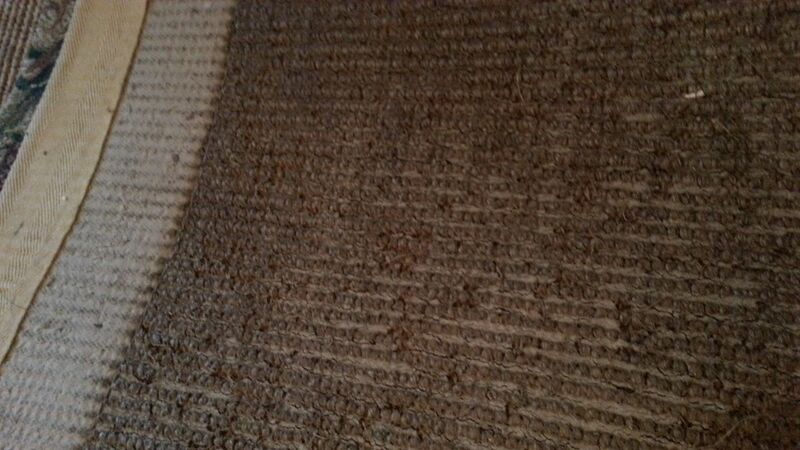 A beautiful rug on a beautiful wood floor, who knew there was a nightmare occurring underneath? 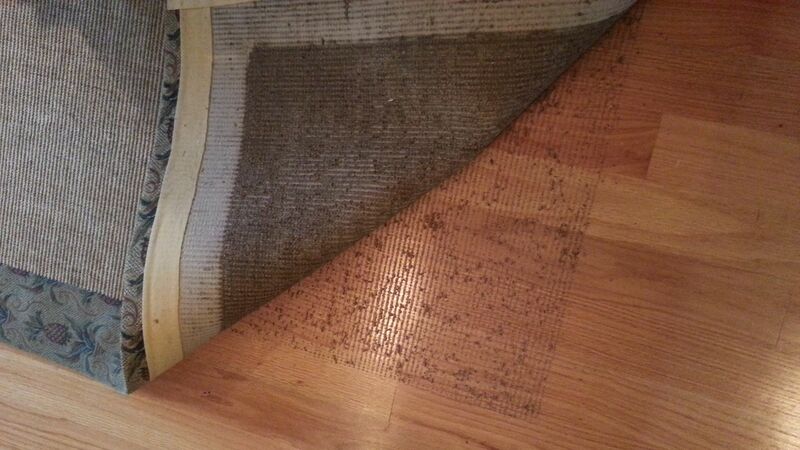 A quality rug pad like Nomuv could have avoided this bad situation. I recommend using Nomuv brand carpet cushion under fine hand tied rugs, thin regular wall to wall carpet padding under cheaper rugs or none at all if heavy furniture will be holding the rug in place.